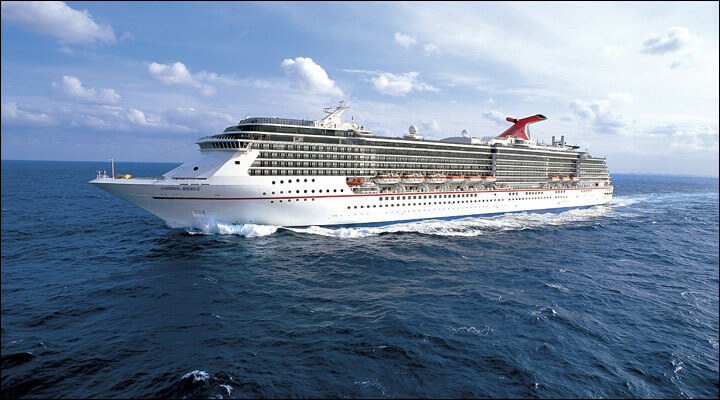 Carnival Miracle takes you to another world. Not only does this ship visit stunning destinations, but features incredible onboard spaces inspired by elements of fantasy. Escape from reality as you take in a show at the Phantom Lounge, a drink at Odyssey Bar or a dance at Dr. Frankenstein’s Lab. To lose yourself in a song, find your way to Sam’s Piano Bar. Hungry? You’ll find great food all over the place, from the casual fare of Horatio’s to the artful eats of the Bacchus and Ariadne dining rooms… not to mention the world-class cuts at Nick & Nora’s Steakhouse. At Alchemy Bar we make drinks into art, while the laid-back RedFrog Pub has Caribbean cool down to a science. And up in SkyBox Sports Bar, luxury-box comfort has been combined with the very down-to-earth view from the 50-yard line. Outdoors, there’s fun to be had, whether you’re down for watersliding or up for simply sunning — Carnival’s Twister Waterslide has you covered (in water, that is), and the Serenity Adult-Only Area will get you relaxing, grown-up-style.